Catch a Fallen Star is the second book in the Grace Note Records series. 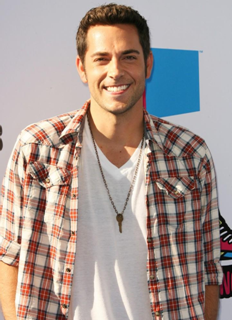 Readers might remember Boone from the first book, The Girl He Used to Love. Boone gave Dean quite a hard time and was often the reason for Dean’s headaches. I wasn’t sure I could make him into a hero worth rooting for but was up for the challenge. He’s spoiled and ill-tempered, not exactly a sweetheart. But under all that gruff is a man who’s battling some demons and one who wants to be a better man for all the right reasons – the biggest being his daughter. Thanks to his friendship with a troubled teen and the spark he can’t help but feel between him and her mother, Boone might figure it all out just in time to save his career … and himself. 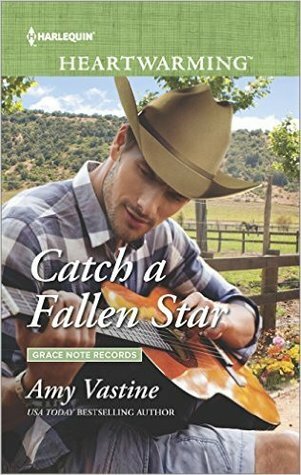 December is here and that means Catch a Fallen Star (Book 2 in the Grace Note Records series) is now available! I am so excited about this book and can’t wait for readers to get their hands on it. Boone and Ruby are two of my favorite characters. And Ruby’s daughter, Violet, also has a special place in my heart. You’ll have to check out the book’s dedication to see why! I had a lot of fun putting these guys through the wringer and helping them come out stronger in the end. I have a bunch of fun visuals on my Pinterest page, which you can find HERE. But the book cover captures Boone pretty perfectly. I hope you’ll give it a read and find out what getting Booned means! If you’re interested in learning more about the book, I have a blog tour starting December 12th. Come along for the trip and get excerpts, guest posts from yours truly, and a chance to enter my tour giveaway. Check out the lineup HERE. In other news, I have a free online read available now through Christmas, with a new chapter posting each weekday. 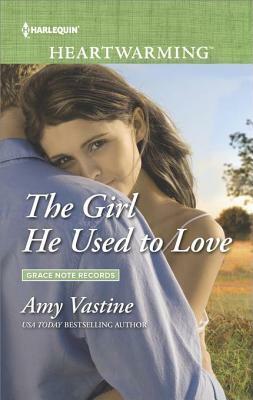 If you read The Girl He Used to Love, you’ve already met Josie Peters. She owns The Sundown Bar and Grill in Grass Lake, TN. In the short story, Countdown to Christmas Eve, she gets her very own HEA. There might also be a brief appearance by Boone Williams himself … Check it out HERE. Fall is coming to an end. It’s been a busy one! We are ready for some major downtime around here. My kids are busy preparing for finals, my credit card is still smoking from all the abuse it took on Cyber Monday, and my Christmas decorations are up. I love the holidays and can’t wait to celebrate with my family and friends. I am looking back on 2016 with fondness but am excited for 2017 to get here. In fact, I should have some exciting book news to share very soon. 2017 is bound to be the best yet! Happy December to all my lovely readers and don’t forget to click that newsletter button in the menu and sign up to get my monthly newsletter. I have subscriber only giveaways, recipes to share, and you get to hear the good news about what’s coming before anyone else! On tour with†Prism Book Tours. 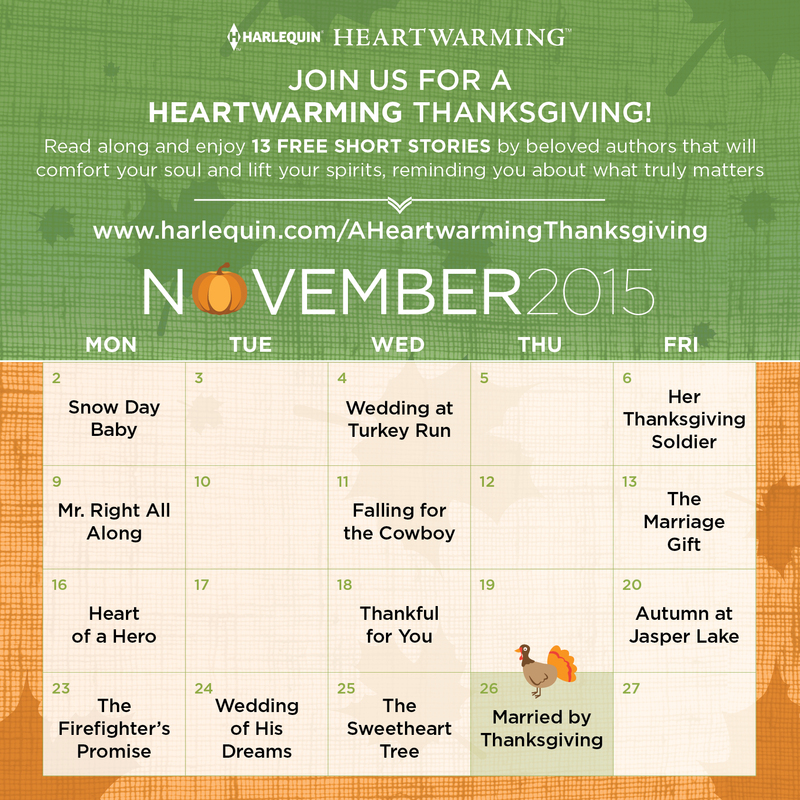 Harlequin released 13 FREE short stories by beloved Harlequin Heartwarming authors during November via their site. You can still read these short stories through December 31st. The sale for 30% off Heartwarming titles also continues through November 30th. Grab the ones you want now! Join us for a grand ending to this month of wonderful Harlequin Heartwarming short stories with a Facebook party! All thirteen authors are stopping by and giving away more books!! Come join us on Monday, November 30th, from 12 pm to 2 pm EST HERE. If you can’t make it, feel free to stop by later and check out the party.
. . . when Harlequin came to me about this Thanksgiving short, I had to give Scott the ending he deserved. SNOW DAY BABY was born. Sheridan pulled her hair over one shoulder. She had been a pretty girl who turned into an absolutely beautiful woman. Pregnancy looked good on her. Her skin was flawless and those green eyes had always been capable of taking his breath away. You always know you’re going to get an emotional-satisfying read with a guaranteed happy ever after. Another great thing about this line ñ you can share these books with your friends, your mother, your sister, your daughter and not be embarrassed to say you’ve read them.
. . . the Writer’s Lot in Life which is nothing more than thinking “what if” every time you turn around took over, resulting in Wedding at Turkey Run. “Sorry.” Although she wasn’t. Even taking into account the gorgeousness of his eyes, hair and smile, there was something about Zeke McNeil that set her teeth on edge. I was in Northwest Florida avoiding a terrible winter in the Midwest, but my heart was in the Northeast Kingdom. I made a discovery then, that not only were these books heartwarming to read, they were heartwarming to write, too. From the start, Caleb seemed to need his own story and now he has it. I hope you enjoy reading ìHer Thanksgiving Soldier. I loved writing it. She tried to focus on her list, but it seemed his image was imprinted on her mind. Sleepy eyes and tousled hair. He looked good enough to love? Even after yesterday when she’d cried in the car, and he’d kissed her, she wasn’t going there. Whether each author’s stories are funny or sad or both, they all contain lots of emotion. Heartwarming gives me the chance to explore some deeper issues with fully-realized characters to love. Her eyes lit up and immediately he knew where her thoughts were heading. “Cooking isn’t hard for you.” She grabbed his hands in her small soft ones, making his heart pick up speed. “Teach me,” she said. I’ve made a lovely home at Harlequin’s Heartwarming line. When my agent and I were looking for a place for my small town, contemporary, sweet series, it was the perfect fit. I wrote this story because for me, thanksgiving is about home. It’s a holiday where we get together with our loved ones and are grateful we have each other. He’d grabbed a cowboy hat off a rack, placed it on his head, and gave her a broad smile, looking a lot like the star of a country western film. I read books because I want to feel; I want to laugh, cry, yell at no one in particular. I want the freedom to experience a range of emotions that aren’t of my doing. That’s also why I write for Harlequin Heartwarming. This is a line where the stories are driven by an emotional payoff; that moment when you clutch your heart and feel the words in your soul. The Marriage Gift is a lot shorter than any of my other work, but it’s classic ttq. Emotionally compelling. A little dark. And ultimately joyful. Shrugging, prosecuting attorney, Corrine Armstrong, pulled the offensive piece of material off the small, but nice wooden dinette she’d purchased two months before but had yet to host a meal on. She used to host a lot of meals. All the time. She used to have a large, impressive dining room table, too. I’m thrilled to be spending time in this new Heartwarming world as well. Where my heart can spill forth freely! I hope you find the result a blessing in your life. Heart of a Hero is Nathan’s story. Imagine finding out your whole history is not the one you were supposed to have? That the parents who raised you weren’t your parents and that the mother who gave birth to you never stopped loving, never stopped searching, never stopped praying. Nathan nodded. He knew Agatha. Back when he was a cop in nearby Adobe Hills, Arizona, he’d occasionally called her needing information. She knew everyone. I love Harlequin Heartwarming. Within the pages of the books, I can go places I’ve never been, meet heroes and heroes having adventures, and always walk away knowing that Happily Ever After is the perfect ending. I’m absolutely thrilled with the second chance love story I wrote for a secondary character in another romance I’d set in the Adirondacks, RAISING THE STAKES. In that book, two best friends co-own a diner. I wanted to give Maggie James, a woman who admires the gutsy gals she grew-up watching in black and white films with her grandmother, the happily-ever-after she deserved. Beams whined overhead and plunged. One careened into the opposite wall in a shower of sparks. Eric doggedly kept his focus. They would make it out. Alive. I love writing Heartwarming novels because they are deeply emotional and extremely romantic. As they are “clean reads” the author has lots of page room to devote to developing the love between two compelling characters and their journey to find it. I thought the story would be something light-hearted and not-too-serious with a hero returning or moving to Rankins to escape a difficult past. He’d want to be left alone. I intended for the folks of Rankins to make my broody hero’s alone-time impossible. . . . Some of that happens. But, as is usually the case when I start writing, my characters began to take on lives of their own. And they had other plans. Plans that surprised me. Ryder could feel two sets of eyes on his back as he and Tag started toward the cabin. Something in him itched to turn around and see if he was right. What could it hurt to take one more glance at the lovely Jessie and her dog Fife? Cool it, Ryder, he told himself, women and dogs were both off limits. The emphasis on feelings like affection, respect, admiration and like reflects the necessities (in my opinion) that make up a strong and lasting relationship. True love, in other words, is the hallmark of Heartwarming. [T]he precipitating event in The Firefighter’s Promise is based on a very personal experience. . . . It was an interesting process for me to try to put myself inside my husband’s head while writing this story to understand what he must have been feeling and thinking. Amidst the scorching bursts of light, she saw him. Dark hair. Strong features. Blue eyes. There was a prick on her forearm and an odd taste in her mouth. She trusted those eyes and believed the voice that assured her heíd take care of her before everything went black. 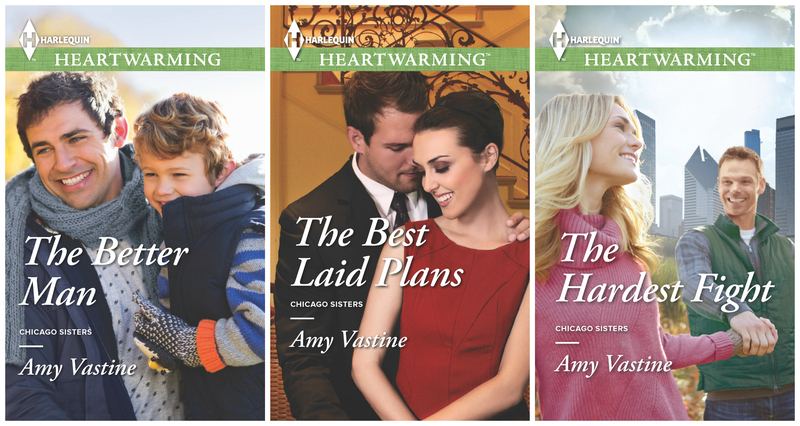 The Heartwarming series is for readers who enjoy well-written, deeply-nuanced stories that are clean and wholesome. I had so much fun writing this story and watching Matt push Ruthie outside of her comfort zone. Of course Ruthie didn’t budge easily from her by the book life, but Matt was more than up for the challenge. And Ruthie discovered the best happy-ever-after was the one she never planned for. Matt squatted down and rubbed the golden coat of Lady, Steve and Becca’s eight-month old Great Dane rescue puppy. But his focus remained on Ruthie as she circled around the tables toward him. He took in everything from her thick, loose braid that hung over her left shoulder to her scarf wilted against her belted jacket to her ease with the pony-sized dog that easily outweighed her by a good twenty-some pounds. I love strong emotional stories with characters defining what it means to be a part of a community, learning the value of family and discovering the power of their own happily-ever-afters. These are the types of stories I like to read and write. In my Harlequin Heartwarming Thanksgiving short story, The Sweetheart Tree, environmental activist Serena Myss doesn’t only take a short walk in the woods when her family suffers a tragedy unable to cope with her emotions or loss, she leaves home for several years. In doing so, she leaves behind the very people who love her, including the man she once thought sheíd spend forever with. . . Officer Austin Shale had slapped handcuffs on plenty of wrists most of them hairy but never in his wildest dreams had he imagined locking them on the soft, slender wrists of Serena Myss. Well, maybe he had imagined it once or twice, but not with her shooting daggers at him with those piercing, hazel eyes of hers. She glared at the handcuffs heíd taken off his belt. What I love about writing for Harlequin Heartwarming is that, although the stories in the line are fiction, they’re so true to real life that the pain, struggles and loss so many experience are as much a part of the characters’ journeys as they are ours. I love marriage of convenience stories, but if you aren’t writing historicals or paranormals, it’s hard to come up with a plausible plot for one. When I was asked to write a short for Thanksgiving, a marriage of convenience idea came to mind: one NFL quarterback – Clinton Hadley – desperate to get out of jail and play Thanksgiving weekend. There is physical attraction between the hero and heroine (and kissing! ), but the love between them is more likely built on the foundation of one soul recognizing another than one perfect body being attracted to another. 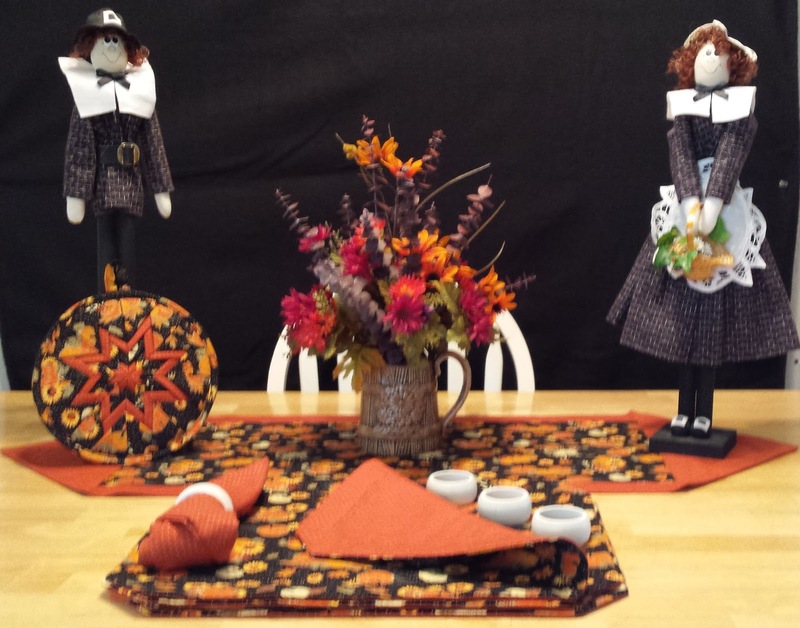 Pinterest Prize includes:†four reversible, quilted placemats, four matching napkins, hand-painted matching napkin rings, matching table runner, matching quilted hot pad/trivet, floral centerpiece in pot, and hand-crafted pilgrim pair. Today is the day! My Thanksgiving short is live! Come read about Dr. Scott Spencer (you might remember him as the doctor Emma Everhart from THE BEST LAID PLANS thought she was supposed to fall in love with!) Scott gets his own happily ever after in this little story and I couldn’t be happier to give it to him. He’s such a good guy! You can get to the story by clicking on the banner up above! I could not be more excited to present the Heartwarming Thanksgiving promotion we’ve got going on November 2-26. Like I said, we have 13 free reads this month and tons of prizes to give away. What kind of prizes you might ask? Well, how about a year’s subscription to Heartwarming? Or a $40 Amazon gift card? We’ve got books, a handmade crafts, chocolate, and more gift cards! How can you win? Well, we’re going to have ways for you to win all month long. First up, we have a blog tour in full motion – check it our here. This is your chance to win those big prizes like the year’s subscription! Don’t miss out! We are also setting up some challenges in the Harlequin online community. 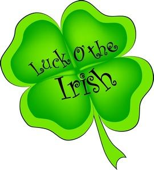 Each week there will be three activities and three weekly prizes awarded for best entry in each activity. Members can write an epilogue to one of the week’s stories, or they might be asked to list five things they like about the hero in one of the stories, or they might have to choose their favorite line in a particular story. All members are eligible for all activities all weeks. 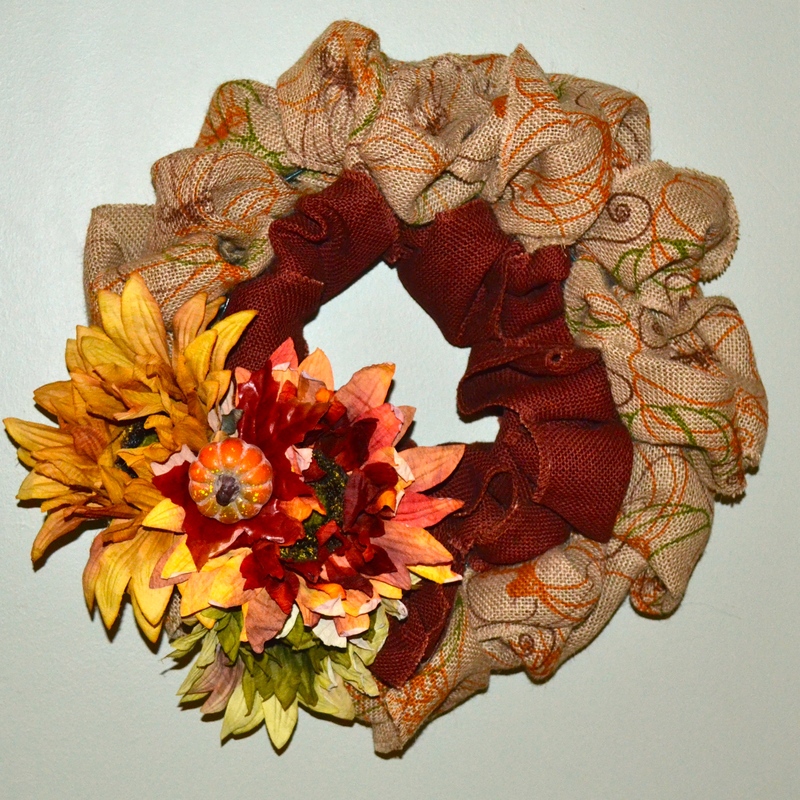 Starting today, you can write the epilogue to my story for a chance to win the fall wreath I made! Click here to check it out! We also have a Goodreads giveaway that you can enter here. That runs until November 26th as well. 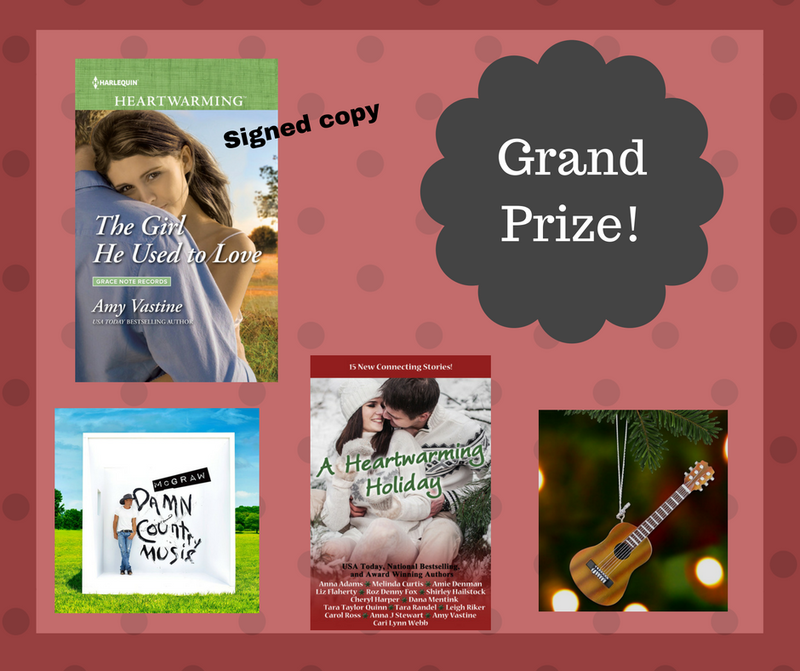 Lots of awesome books to win. Love Pinterest? We have a fun giveaway over there as well! Readers must PIN one of our two HQ provided PINs. You can enter twice a day, by pinning both pins and you can enter every day by visiting the story releasing that day. Lastly, we have a HUGE Facebook party planned for you guys on Monday, November 30th. Tons of prizes and lots of fun. You can check that out here. You won’t be sorry you stopped in anytime during the party, I promise! All of this is because we are so thankful for our readers and wanted to do something to really show it!! Now go and read, enter, write the epilogue. go, go, go! I am so excited today is April Fool’s Day and not because I get to pull some hilarious pranks on my kids but because it means it’s the first day A Case for Forgiveness is available for purchase! 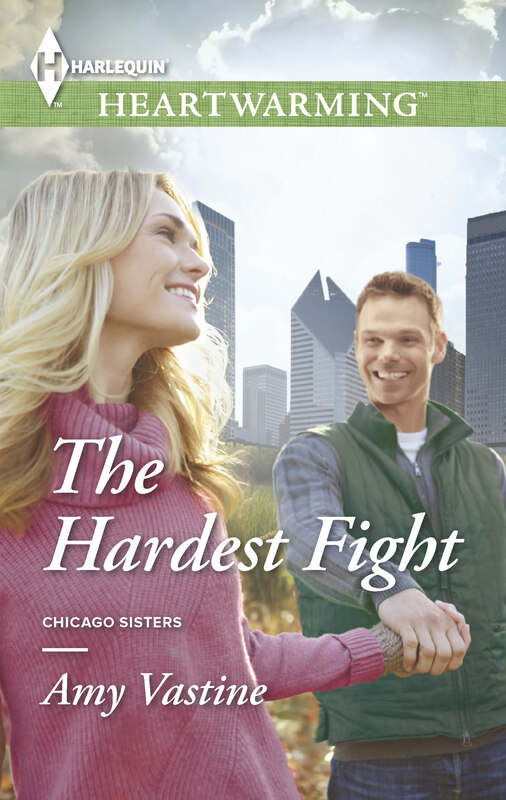 This is the second book my awesome friend Carol Ross has written for Harlequin Heartwarming. I was lucky enough to be roomies with Carol at last years RWA Conference and am pretty sure she is my soulmate. We laughed, we cried (from laughing so hard), and then we laughed some more. I should have known we’d get along when I read her first book in the Seasons of Alaska series, Mountains Apart. Her heroine accidentally took too many painkillers and ended up stripping down to her underwear before passing out in front of the hero. And that was only chapter one. Carol has an amazing sense of humor and knows how to weave a wonderfully emotional tale. She stared at him, thinking… She did do that. Why did she do that? Because the memories hurt, that’s why. But she realized that she needed to get a handle on that pain if she was ever going to truly get over him. So she dredged up a smile and said, “Remember how those stupid heels I wore were killing my feet? You finally plucked them off my feet and threw them into the bay because you wanted to dance? At first I felt weird but then other women starting taking their shoes off, too. But then you had to carry me all the way to your house where we’d left your pickup.” She laughed at the memory and it felt good–genuine. “Mine, too,” she said, but barely heard the words come out of her mouth because they seemed to have such precious little air to propel them. Carol Ross was born and raised in Washington, where she lives with her husband and one perfectly lovable miscreant of a dachshund. She truly adores the Pacific Northwest because it offers so many opportunities to do what she loves–hiking, skiing, running, and spending time outdoors. 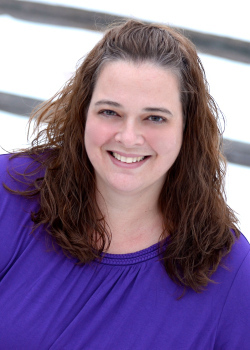 Although she enjoys reading in many genres, she writes what she loves the most–romance, especially light-hearted stories about the fun, flirty, and often-tumultuous path toward a happily ever after. Welcome to the promo stop for Jo Richardson’s Romantic Comedy, Cookie Cutter. Check out the teaser below and enter to win an awesome prize! I am so excited to be part of the blitz. Jo is one of my favorite people in the world and I absolutely cannot say enough about what an amazingly fun writer she is to read. Cookie Cutter comes out today and was sent to my Kindle this morning. I know what I’ll be reading over my Spring Break! I hope you will check it out as well. Iris Alden and Carter Blackwood couldn’t be more different. Change-averse Iris likes her life neat and organized, while Carter’s itchy feet mean he doesn’t plan to stay in the same place for long. When Carter moves into the house across the street from Iris, to renovate it, she fights the disruption it causes in her life. Before long, though, it’s not simply the house Carter’s rebuilding, but Iris’s heart, too. cookies.” As soon as I say the words, I hear them. I sound ridiculous and Carter’s bright eyes crinkle with amusement. as he stares at me. I hate his eyes almost as much as I hate his teeth. Maybe more. Dammit, I’m staring, again. Did you get to know the youngest of the Everheart sisters, Emma, in this sweet Harlequin Heartwarming book? If not, go back and check out the tour stops now! The Best Laid Plans features Emma as she sets her sights on meeting Dr. Right. Everything about her plan seems to be working except for one glitch – she’s falling in love with a handsome, spontaneous paramedic instead. I love to take a song and imagine what the rest of the story might be. Sometimes I only need one line to catch my attention. That was how The Best Laid Plans came to be. It was inspired by two songs. . . . 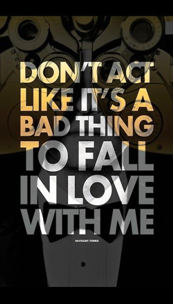 The first one is Justin Timberlake’s “Not a Bad Thing”. The closer she got, the warmer he felt. He practiced greeting her in his head, trying to sound cool. Then she smiled and he lost the ability to speak. Charlie doesn’t need luck, though. Luck doesn’t win you love. Charlie gets the girl because of who he chooses to be each and every day. Sometimes we have a little bit more control over our destiny than we think. Don’t chase the rainbow, looking for the pot of gold. BE the rainbow and the pot will come to you! 1. 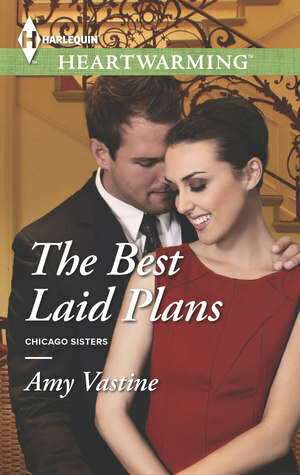 What is your favorite thing about the Chicago Sisters Series? I am the only girl in a family of three. I have always wondered what it would be like to grow up with two sisters instead of two brothers. These stories allowed me to pretend. I am envious of sisters who have built-in friends in each other. The Everhart sisters are friends as well as family and even though the stories focus is on the romance, the sisters are special to me! I absolutely adored The Best Laid Plans! I was immediately drawn into the story and couldn’t get enough! 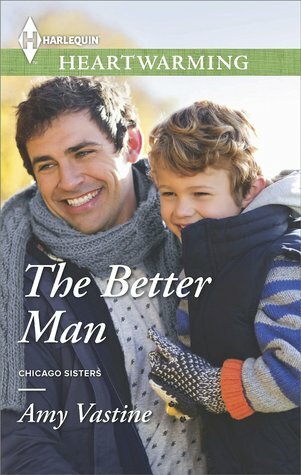 After reading The Better Man, I enjoyed picking up with Emma and seeing her fall in love. “It’s fine, just cold.” Charlie reached over and pressed her hand and the ice pack back against his face. She was so close that it made his heart beat faster. Thank goodness he wasn’t hooked up to any machines that would’ve given him away. “You know the cute paramedic?” Tessa’s interest in Charlie was bothersome, and that in and of itself was even more bothersome. Charlie could date whomever he wanted. It shouldn’t matter to Emma one bit. Emma is the youngest of the Everhart sisters, who all star in the Chicago Sisters series. Emma is a nurse, like her mother before her. She works in the ER of St. Joseph’s Hospital in Chicago. Emma is bright and determined. She knows what she wants and always gets it. Charlie Fletcher is my favorite hero so far. He’s a six foot four, green-eyed, fun-loving paramedic who wears his heart on his sleeve. There really isn’t anything not to love about him. In September of 2012, she saw a tweet about Harlequin’s So You Think You Can Write contest. She entered, hoping for nothing more than a little feedback from some people in the business. Amazingly, The Weather Girl made it into the semi-finals, thanks to the many wonderful voters out there! The manuscript didn’t make t to the finals, but the editors over Harlequin were still interested. A few revisions later and The Weather Girl was contacted for publication with Harlequin Heartwarming – a dream come true!